Our exclusive collection of wall hanging is widely appreciated for their superior craftsmanship and beauty. We are involved in providing Antique Style Wall Hangings. These are available in various designs, sizes and patterns and other specifications as per their requirements. The entire range is in accordance with the new trends and designs. 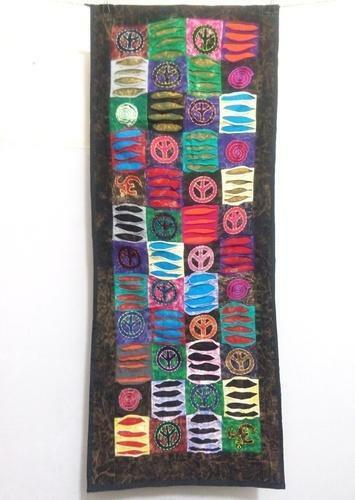 This is Multi color Patch work Pattern wall hangings with mirror- beads- thread & embroidered work.